After the rather surprising loss of a team member in last week’s episode, “Blood Ties” shows our team of not-so-heroes in the immediate aftermath. We see Rip Hunter [Arthur Darvill] in Ancient Egypt, attempting to kill Vandal Savage [Casper Crump] before he becomes immortal. In the struggle, Hunter hesitates to kill Savage and is captured by his bodyguards. Knowing that Hunter has tried and failed in assassinating Savage shows that he has more in this fight. Not only does he think he failed protecting his family, he thinks failed in killing the man that took their life. Flash forward to the present, where Hawkgirl [Ciara Renée] has fragments from the knife that she was stabbed with in her blood system; because of this, any time travel will kill her. It is up to the Atom [Brandon Routh] and Professor Martin Stein [Victor Garber] to get the fragments out. The Atom was a student of Stein back when he was in college. Stein does not remember him at all. The student-teacher dynamic between the two seemed forced; by the end of their story arc, it didn’t feel like they had a strong connection between each other. Having the Atom confront his past with the death of his fiancee, though, gives him newfound confidence to save Hawkgirl and to believe in himself as a hero. 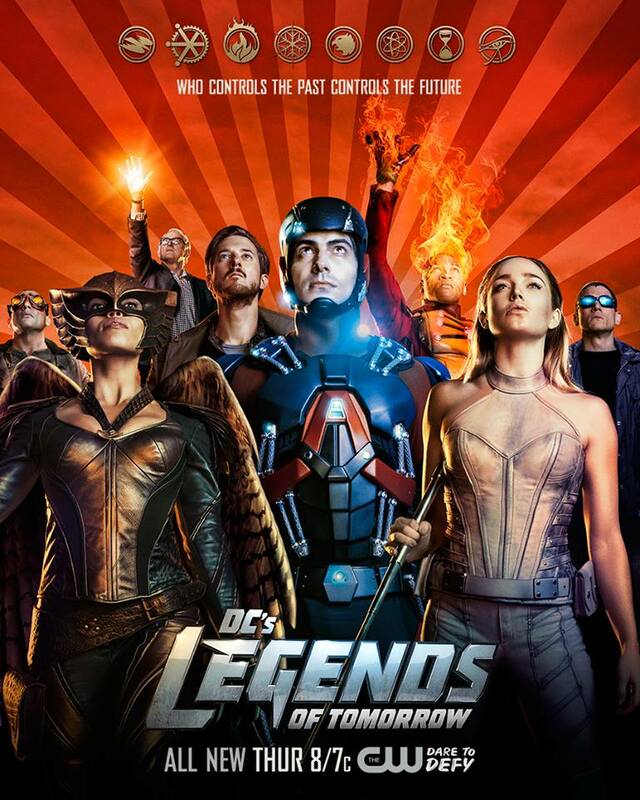 While Jax [Franz Drameh] is fixing the Waveriders scout ship, Captain Cold [Wentworth Miller] and Heat Wave [Falk Hentschel] coerce Jax into flying them to a museum in Central City to help steal an emerald. Cold wants to steal it because it was the jewel that got his father sent to jail. If he steals it and gives it to his father, he will never go to jail and Cold and his sister will get the normal life they always wanted. After they steal it, Cold goes to his childhood home to give his father the emerald. But Cold runs into his younger self and gives him some life advice. Hunter and White Canary [Caity Lotz] are off to find Savage’s stockpile of money; if they can’t physically stop him, they will destroy the fortune that he has collected for the past 4,000 years. While investigating, they find out that Savage will perform a ceremony that involves “the vessel.” In this case, Hawkman’s [Falk Hentschel] body. Both characters have a type of bloodlust: Hunter’s with his vengeance for his family and Canary with the side effects of her resurrection by the Lazarus Pit. The main difference is that Hunter is reluctant to kill while Canary has no problem killing. When Hunter and Canary are captured by the guards, Savage shows them what he does with Hawkman’s dead body. He reveals that the blood of dead immortals can grant an extra 100 years of life to mortals. After this revelation, the rest of the team storms in and they defeat Savages men, with Hunter cutting Savages’ throat, a temporary fix to the Savage problem. You can only seriously wound Savage, not kill him, unless Hawkgirl stabs him with his own ancient knife. The blatant reference to Superman and Batman in the beginning of the episode has everyone in a frenzy, with Hunter saying “men of steel die and dark knights fall.” With “The Flash” crossing over to “Supergirl” next month, anything is really possible. Plus the emerald looks a lot like Kryptonite, could DC finally be making moves on a Superman or Batman show? Maybe Savage has killed alternate Superman’s and Batman’s in the Multiverse.